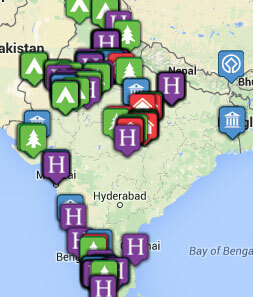 Tribes Overall: "I've been intrigued by India and everything lived up to my expectations ! The drivers made use feel like the Maharaja and Maharana ! The guides were very good and informative . " Pool area was a bit tired . Fantastic ,very comfortable ! Great pool side bar . Amazing ! Beautiful , great food , service . "The traffic, and the sheer volume of people in transition, never a dull moment ! The colours noise and different smells . Arriving at the Samode Palace . See in the Taj Mahal in its true slender ! "